Debenu PDF Tools is a free Windows application built using Debenu’s Quick PDF Library for working with PDF files. 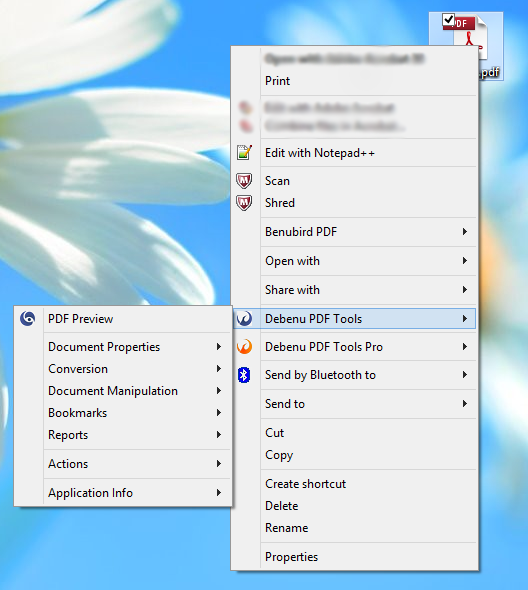 Just right-click on a PDF in Windows Explorer and select the ‘Debenu PDF Tools’ menu item to see the list of features. Or double-click to work directly within the viewer. It’s simple to use and will let you preview PDF files, merge PDF files, edit document properties, add and edit custom metadata, convert images to PDF, convert PDF to text and much more. 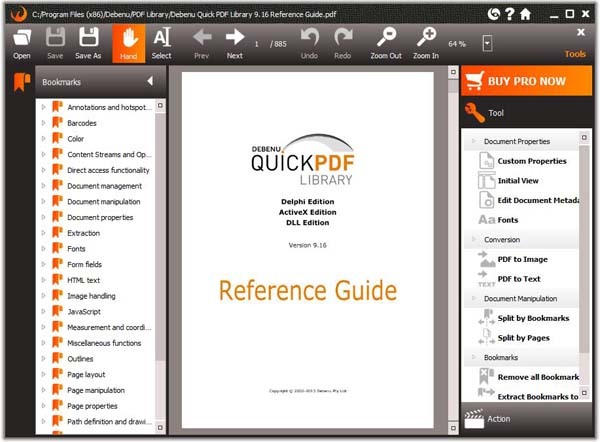 Advanced PDF Preview – right-click on a PDF document and view it instantly. Add and edit custom metadata for PDF files. View security document restrictions for PDF files. Convert PDF to image – creates a folder, and stores each PDF page as a JPEG. Extract a list of all bookmarks from a document to a text file.